Honor Nails You Love for the #31DC2016Weekly - Polish Etc. It has finally come to an end. Today, is the last day of not only the 31 Day Nail Art Challenge but also the weekly version that I have been doing. The 31st challenge is to honor nails that you love. This can be a nail art look, a favorite nail artist or a specific manicure that you love. 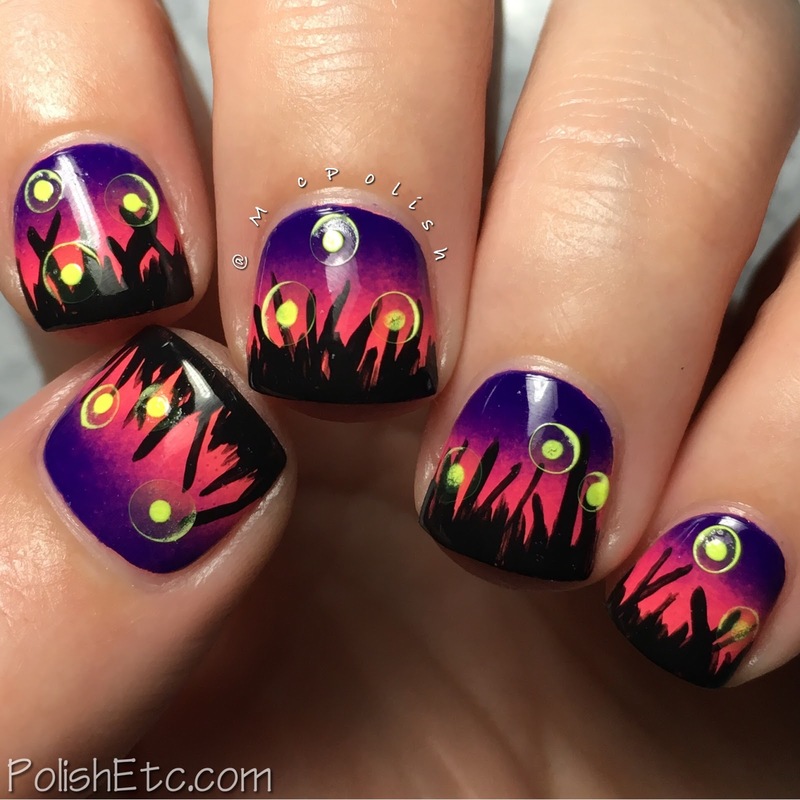 I always chose a manicure by a favorite artist of mine to recreate. There are so many talented nail artists out there that it can be difficult to choose. 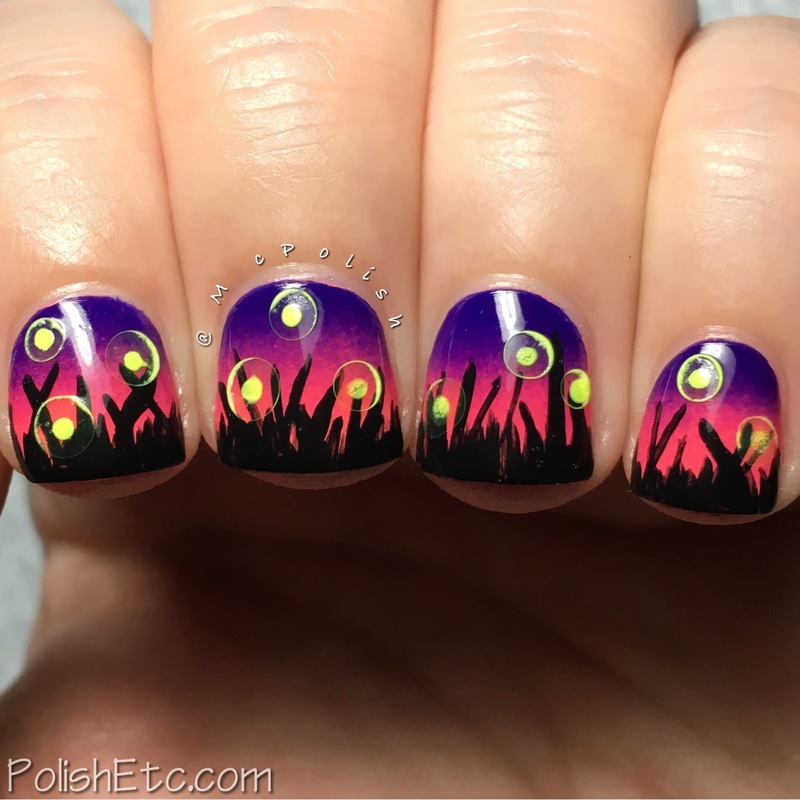 I went through my inspiration folder and kept coming back to this gorgeous firefly manicure done by Sarah from Chalkboard Nails a few years ago for the #31DC2014. She is the champion of this challenge, so I thought honoring one of her creations was fitting. You can see her original manicure here. I hope my version does it justice! I started with a gradient of neon colors in a sunset pattern. The purple is ORLY "On the Edge". the pink is Lavish Polish "Bikini Bottoms" and the orange is ORLY "Push the Limit". Then I used black acrylic paint to make the grass silhouettes. Then, I used yellow acrylic paint mixed with water to make the little firefly halos just like Sarah did. I have never used this technique before but I liked the way it turned out! I topped it all off with a glossy top coat. Well...I am quite proud to have finished the challenge again this year. Doing it weekly vs. daily has it's benefits. I will likely do this again next year in the same way. 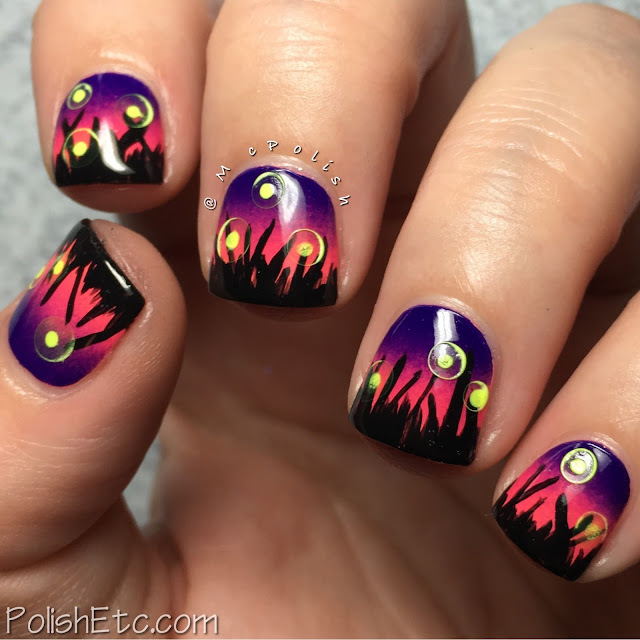 Have you enjoyed these weekly nail art posts? Let me know! And if you have finished the weekly challenge along with me...let me know what you think of the format. Will you do it again this way next year? 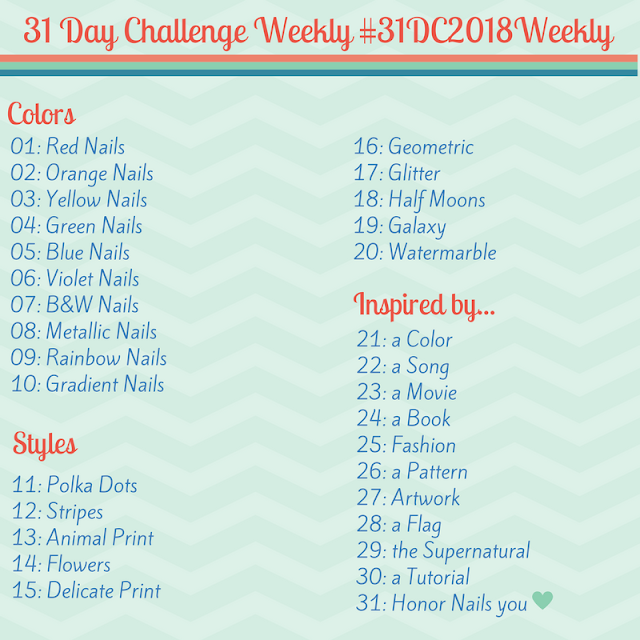 If you want to see all of the other challenge participants, check out the #31DC2016Weekly tag on Instagram, Twitter and Facebook. These look fantastic! I've recreated that manicure before too, it really is an amazing one. Thank you! I really love her original design so much.